The Lure weekend dates are in! 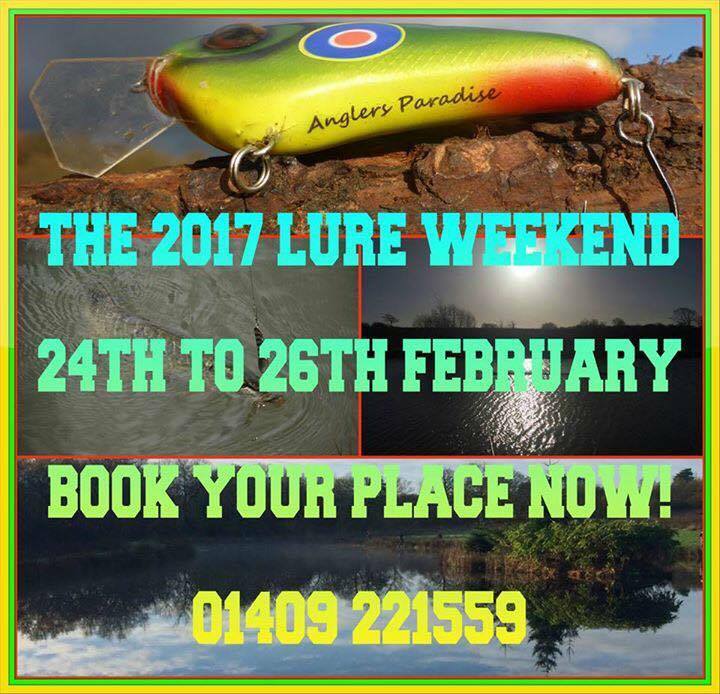 2017 LURE WEEKEND DATES CONFIRMED!! 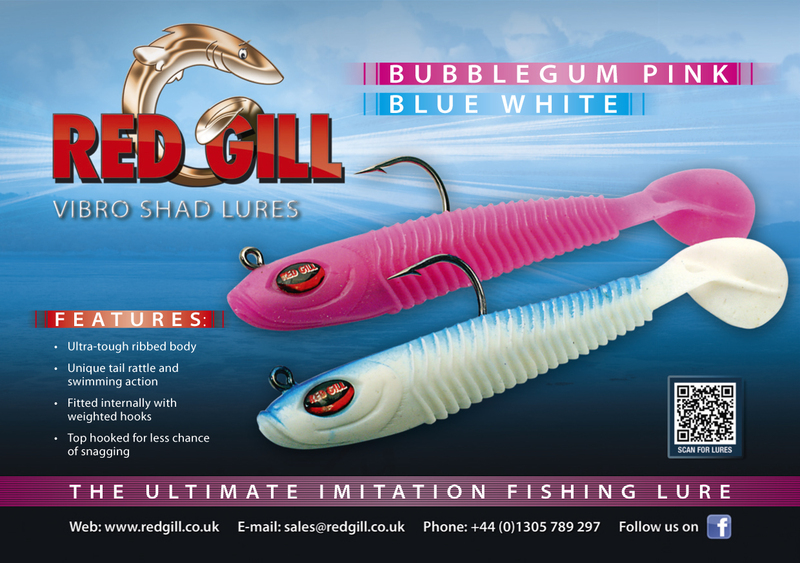 We are pleased to announce that we now have the dates for our next Lure Weekend Confirmed! Friday 24th February to Sunday 26th 2017. 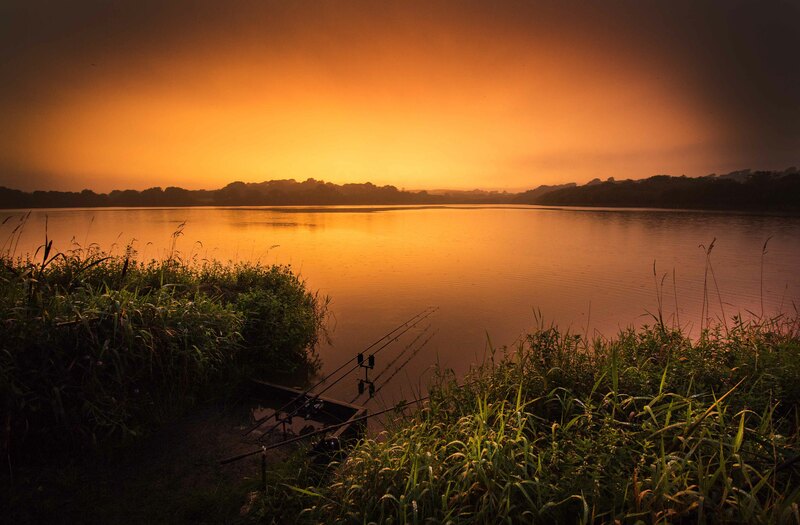 From £110 Per Person to include accomodation for 3 nights, Fishing + Entry into All Competitions. More Details to follow… BOOK YOUR PLACE NOW!! After my Fantastic 48 Hour Session with Julian Chidgey from Inspired Angling Services, before heading home, Julian decided to give the Specimen Carp Lake a try in the hope of one himself! The Fish were all showing on the surface, so Julian stalked patiently and landed this Stunning Scale Perfect 22lb 9oz Linear caught off the top on Dog Biscuits. WELL DONE JULIAN, ANOTHER SUPERB CATCH BY OUR GREAT GUIDE! 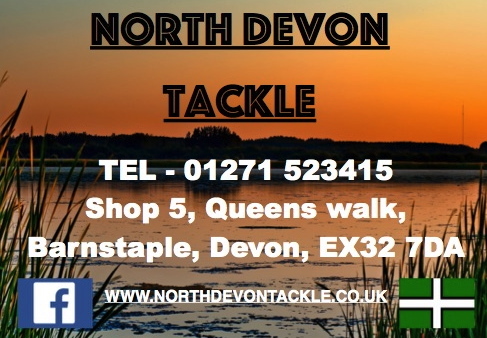 NORTH DEVON TACKLE FISH OF THE MONTH WINNER ANNOUNCED!!!!! 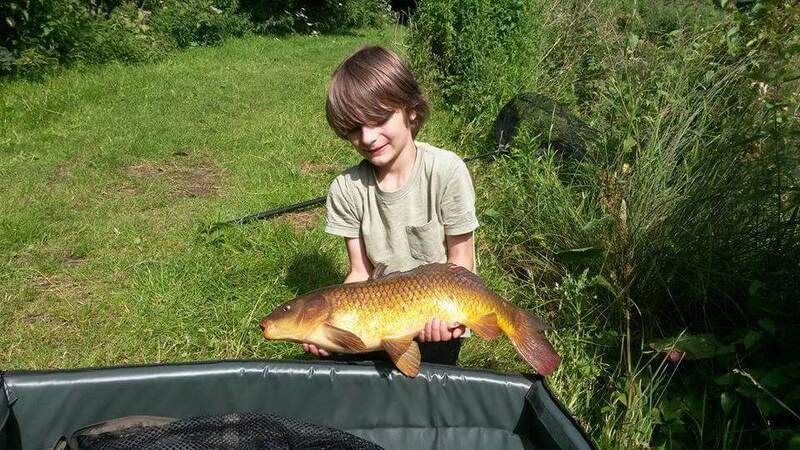 Congratulations to Wilder Van koutrik (age 8) who had a great day fishing with his dad!Landing these fine carp to win the August Fish of the month competition. 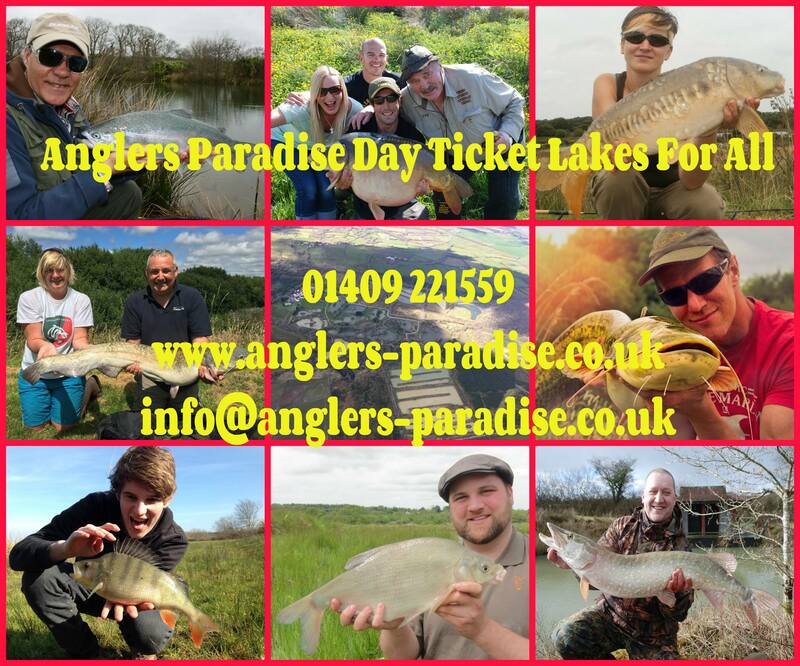 We done Wilder pop in the shop to get your voucher and to arrange leads from Lakebed Leads..
Latest news from Zenia at Anglers Paradise. Good to see so many posts with Ladies, Families and Juniors. 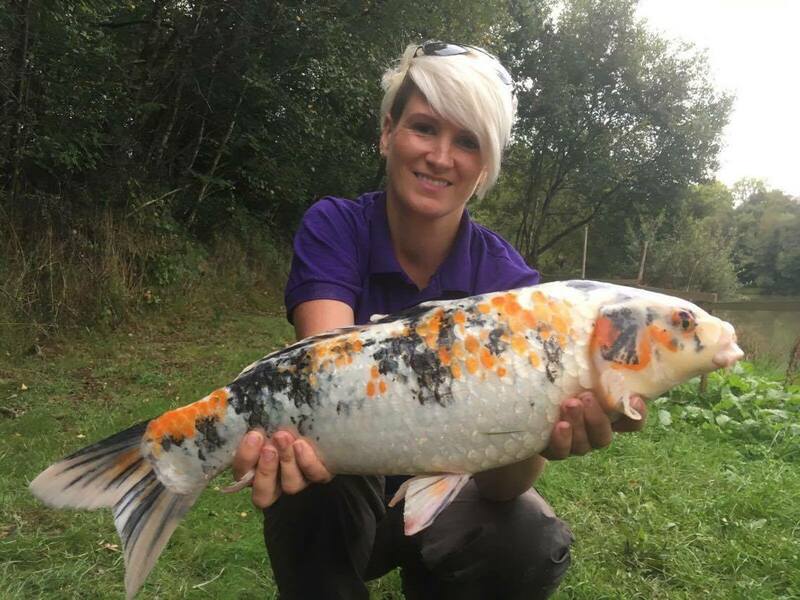 Stunning Catch by Eloise Wyatt, from Somerset who caught this Beauty of a Koi at 6lbs 10oz from the Koi Lake using her favourite Tactic of fishing off the top using Dog Biscuits to tempt Fish Like This One! GREAT PICTURE, GREAT LADY ANGLER AND GREAT FISH! WELL DONE ELOISE! 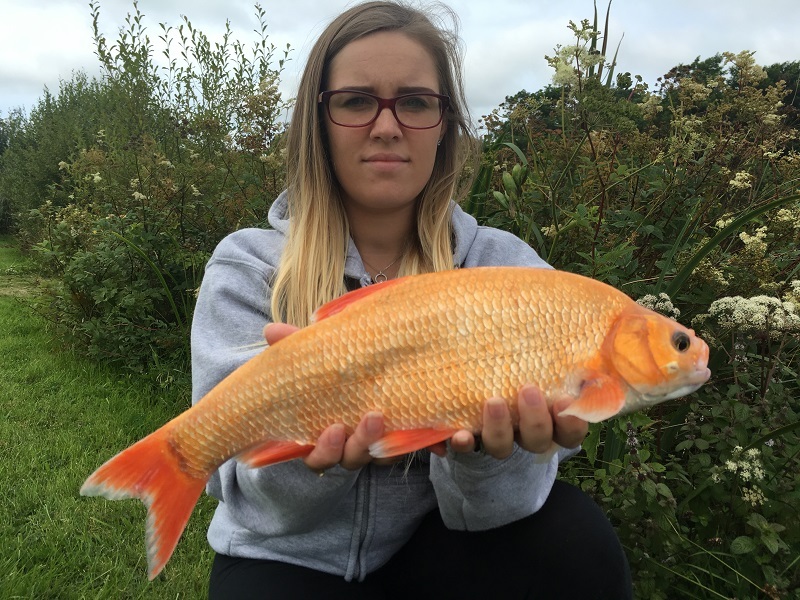 The latest report from Zenia at Anglers Paradise demonstrates the wide range of beautiful fish to be caught at the complex. 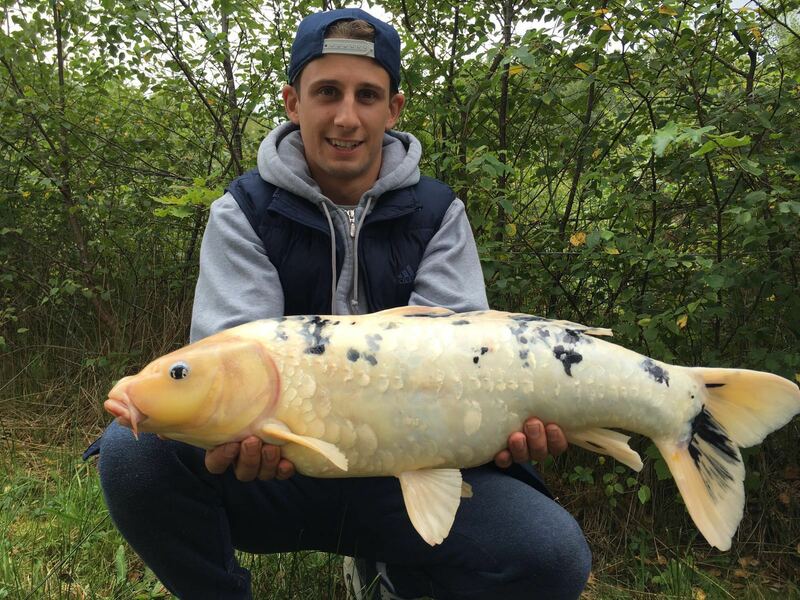 Steve Macdonald from Woonton, Herefordshire had a BIG Surprise when he reeled in the Big Koi from the Specimen Tench and Orfe Lake at a whopping 15lbs!! 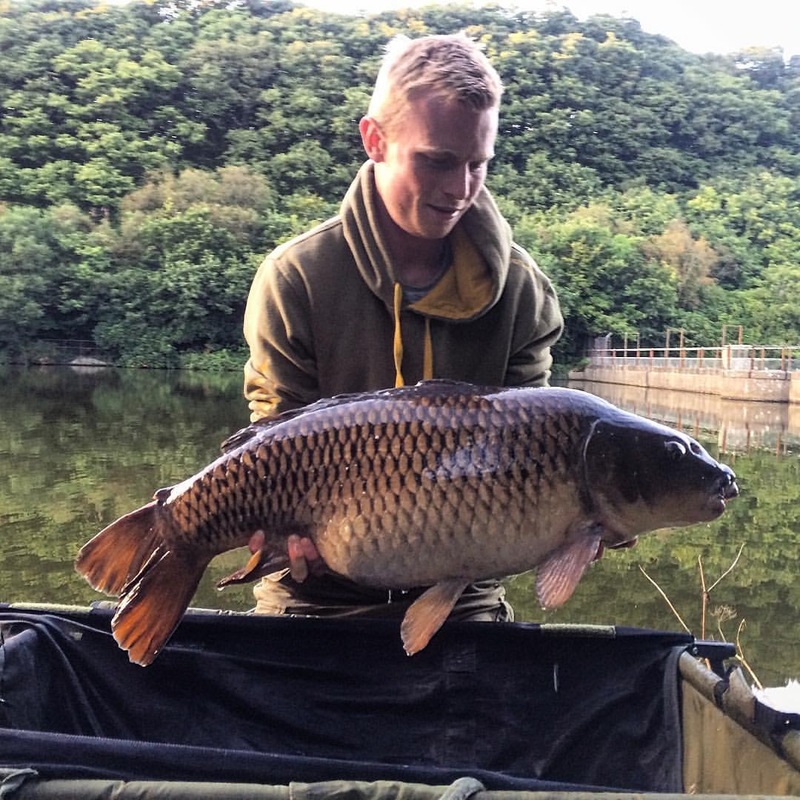 Jackie Charlton caught him during the first week of July at 13lb 8oz so he’s put on a lot of weight in just a few weeks! 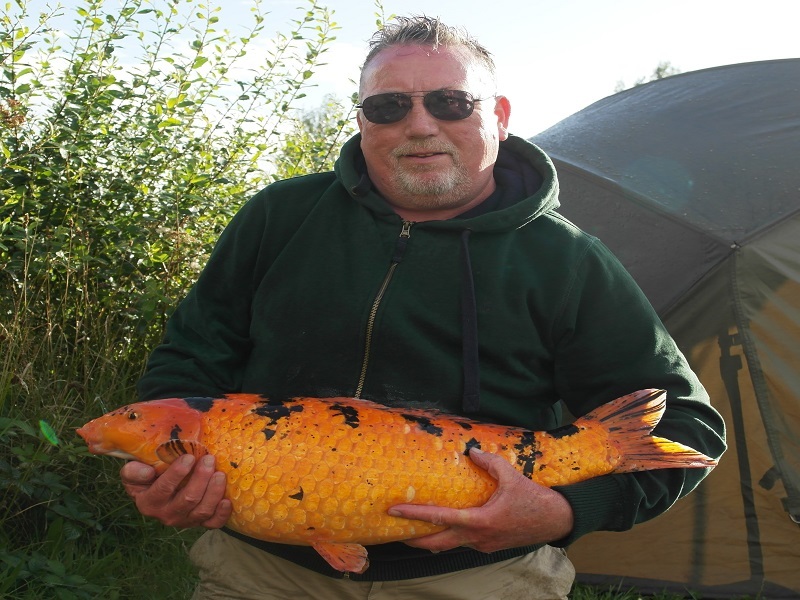 Steve said – “Caught this cracking fella on the last day of our holiday with you. 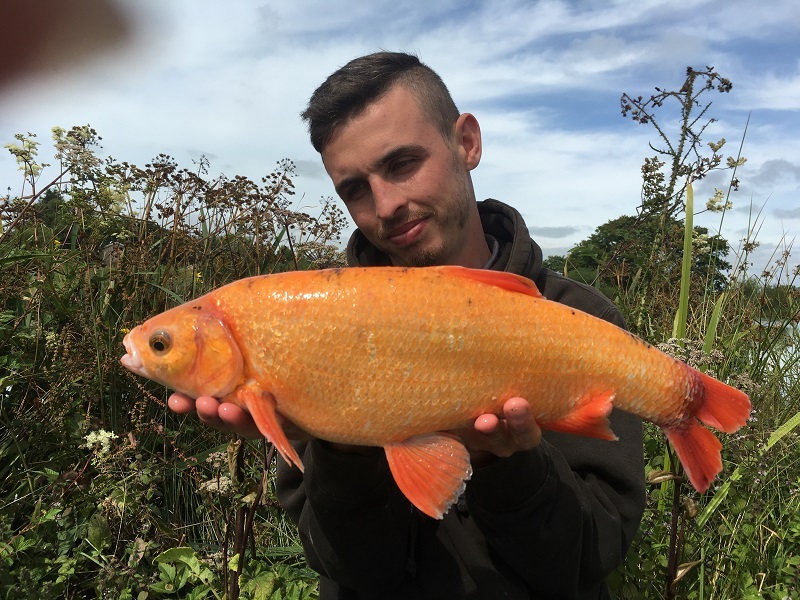 I had wanted to catch a double figure carp and a Koi so I was made up when my last cast of the day on the Specimen Tench and Orfe Lake resulted in this 16lb beauty, making it my new Personal Best! 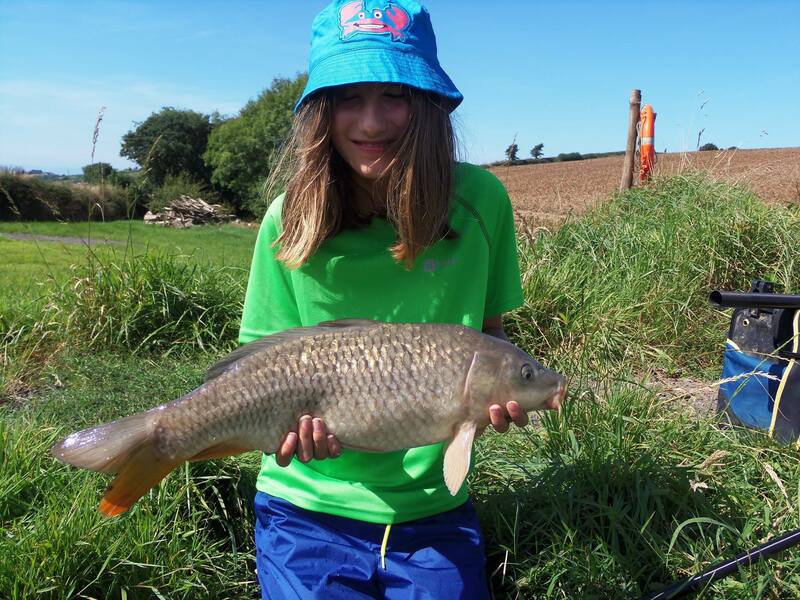 Young Chloe Tuffin Brazier aged eleven fished at Horwood Fishery and landed her first carp a hard-fighting 7lb common that tested her angling skills and made her a very happy girl. 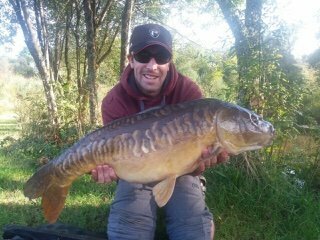 Andy Seery’s new 8mm go-nut bait was the successful offering presented on pole tackle with a size 18 hook. 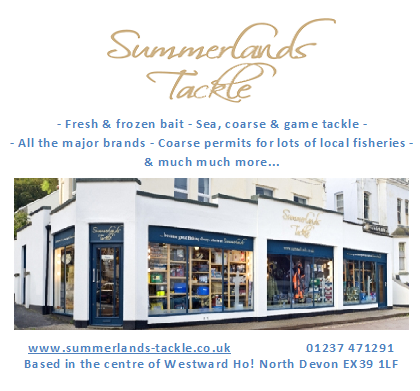 Day Tickets for Horwood can be purchased from Summerlands Tackle. 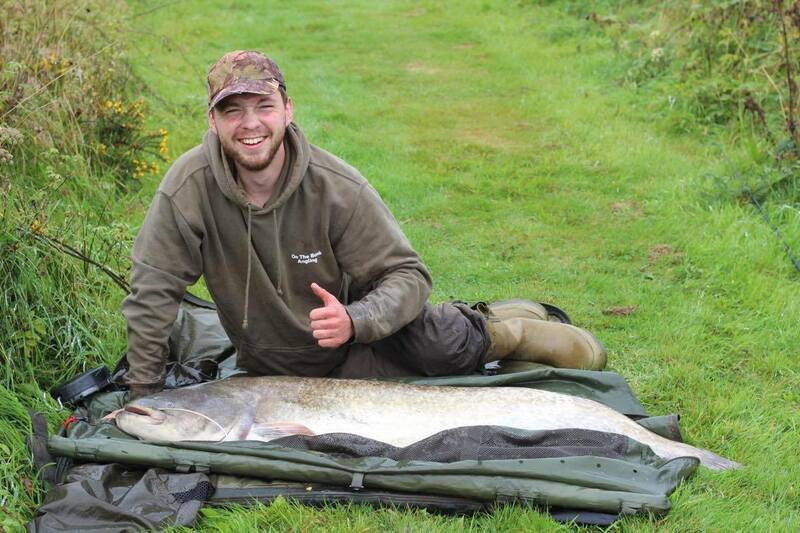 CHRIS AND KEVIN SMASH THEIR PB’S AT ANGLERS ELDORADO! Chris Haydon and Kevin Dobson from On The Bank Angling, both from Exeter and have been testing out the Deeper Smart Sonar which is the world’s first wireless cast-able lake feature and fish finding device. They came back to Eldorado in search of catching their Personal Best Cats, and that they did! 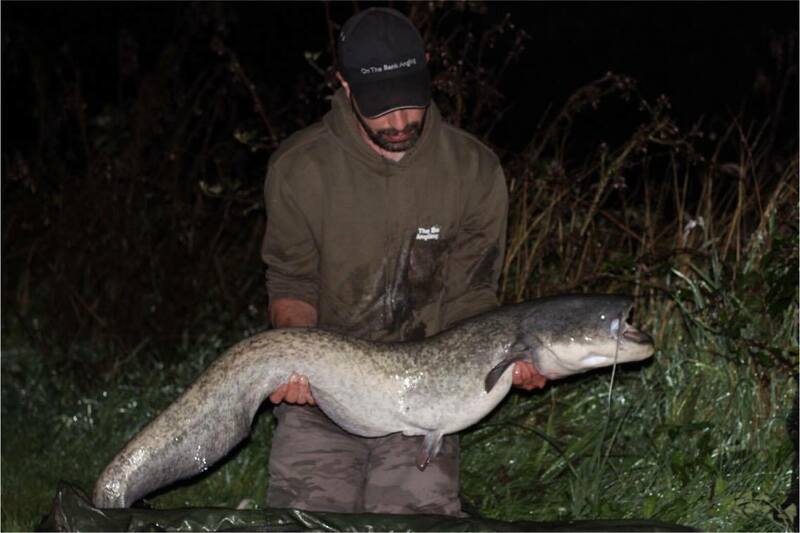 Chris managed to land the Biggest Cat from the Bottom Lake at 45lbs!! 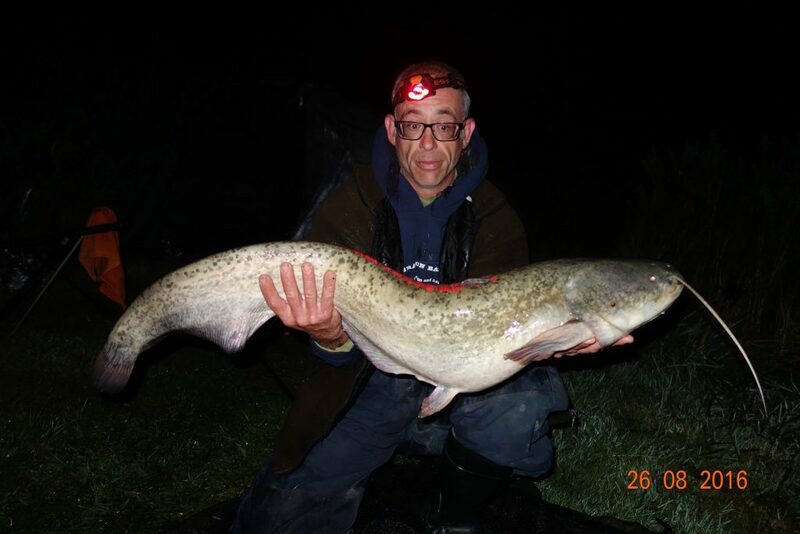 This Cat hasn’t been reported to come out for at least 2 years but Chris found it and landed the Beast on Popped Up Worms giving him a New PB Cat to his name! Kevin joined in on the action and also landed himself a PB 23lb Cat on a Big Chunk of Luncheon Meat. 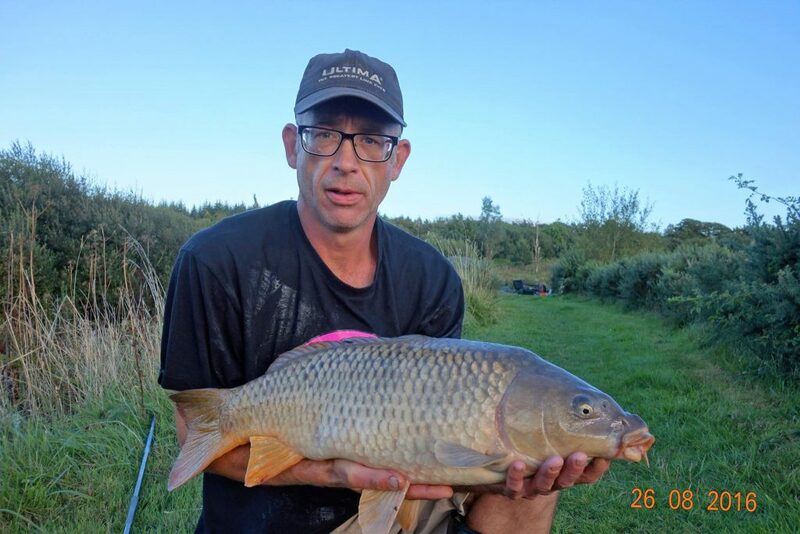 Keen alround angler John Shapland fished Anglers Paradise with his good friend Dan Spearman targetting catfish and carp from the day ticket catfish lake they enjoyed success using large boilies with John landing a carp and a personal best catfish of 19lb 5oz. 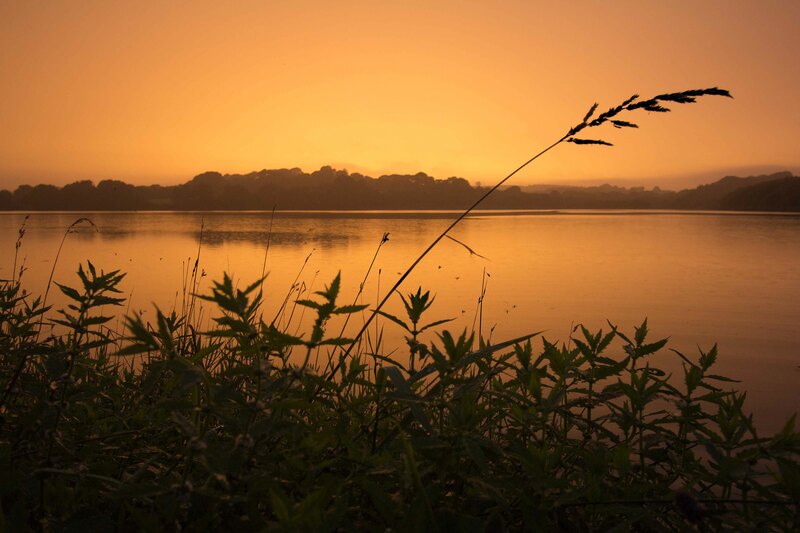 Anglers Paradise has the largest density of catfish in North Devon with fish to over 70lb. 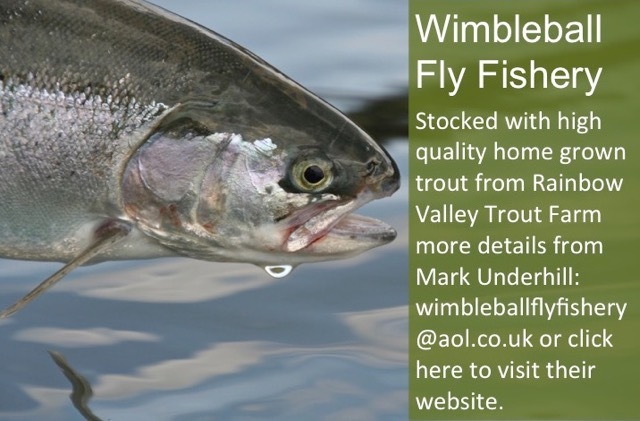 These fish give a very strong fight and will feed until cooler weather descends as autumn approaches. 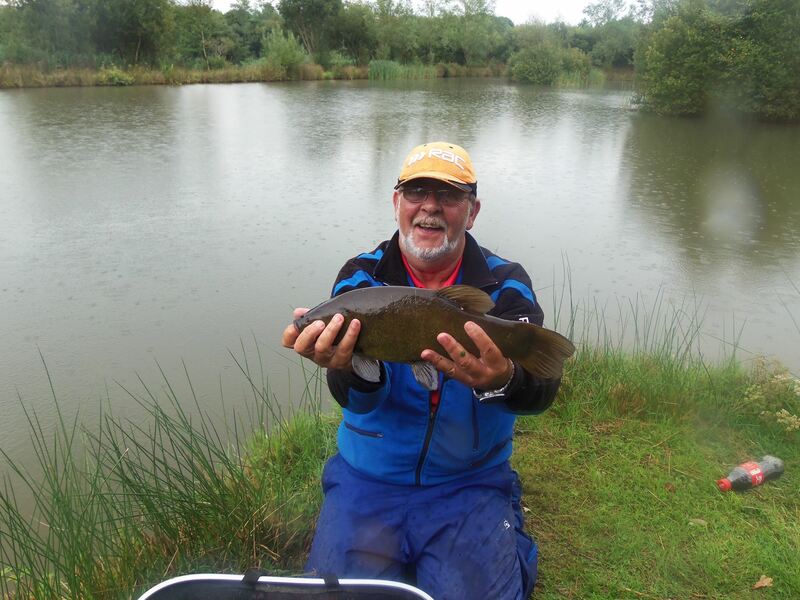 CLAWFORD FISHERY – BREAM, TENCH & GOLDEN RUDD plus much more! John Forster enjoyed a session on Gregorys Lake at the Clawford Fisheries, the session was by kind permission of the Lakes owner John Ray. 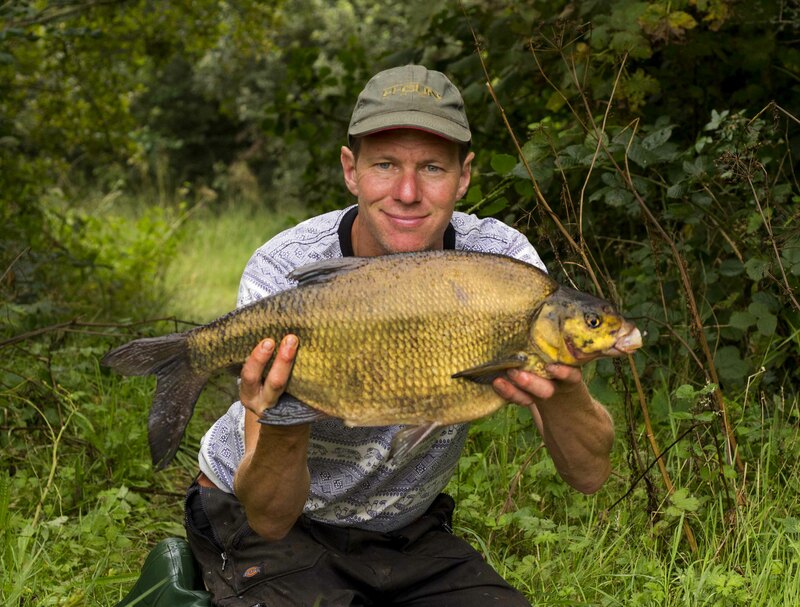 The lake is normally residents only and is well stocked with bream, tench and rudd. 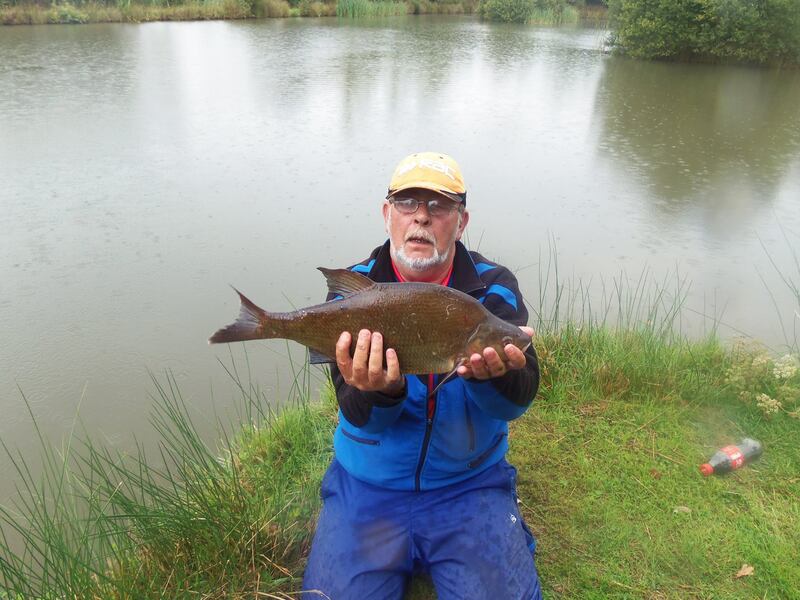 John landed a fine brace of bream totaling 11lb 11oz and several quality tench along with numerous golden rudd. See link to my visit to the fishery last year. 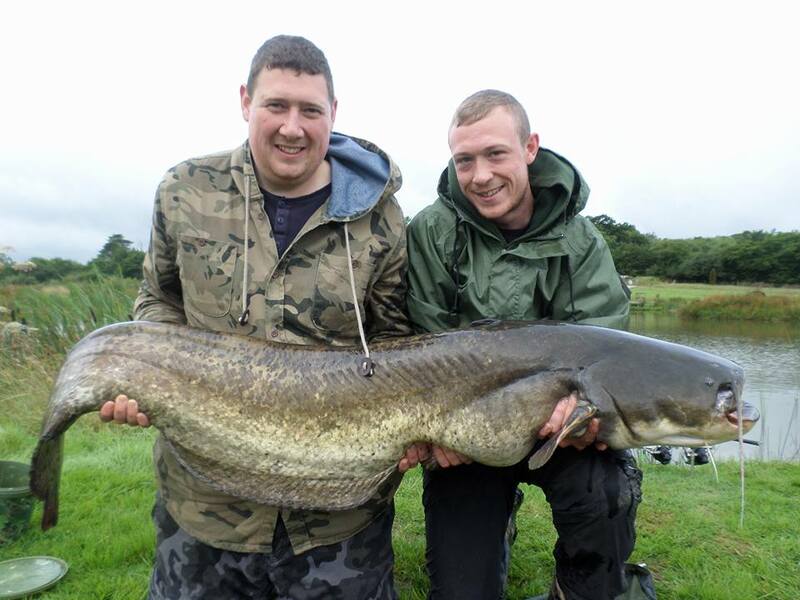 Ryan Owen (Right) from Manchester came for his annual holiday at Anglers Paradise and on his last day decided to give Nirvana’s Day Ticket the Specimen Cat Lake a try in the hope of a BIG Cat! Literally, Ryan had packed up all his stuff ready to go, when at the last minute his last rod left in the water screamed off! 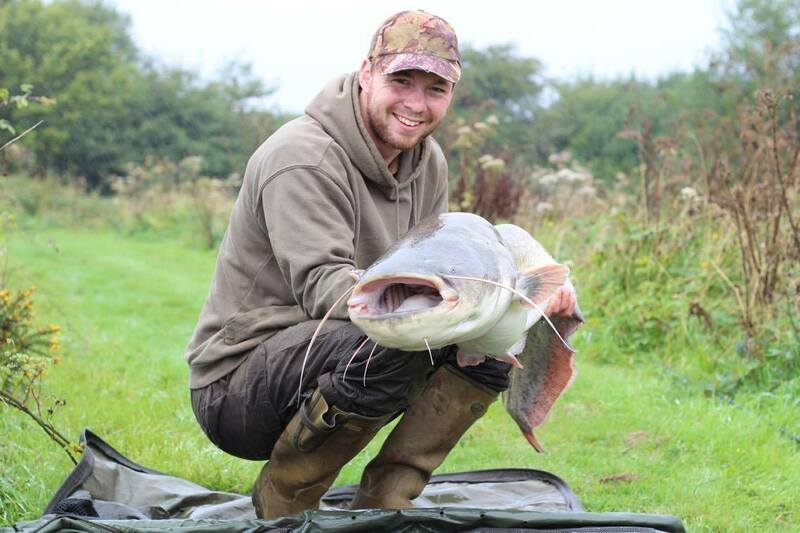 After a 15 Minute Battle, Ryan landed a New personal Best 60lb 4oz Whopper of a Catfish using Krill Boilies on a size 8 barbless hook fishing in deep open water. 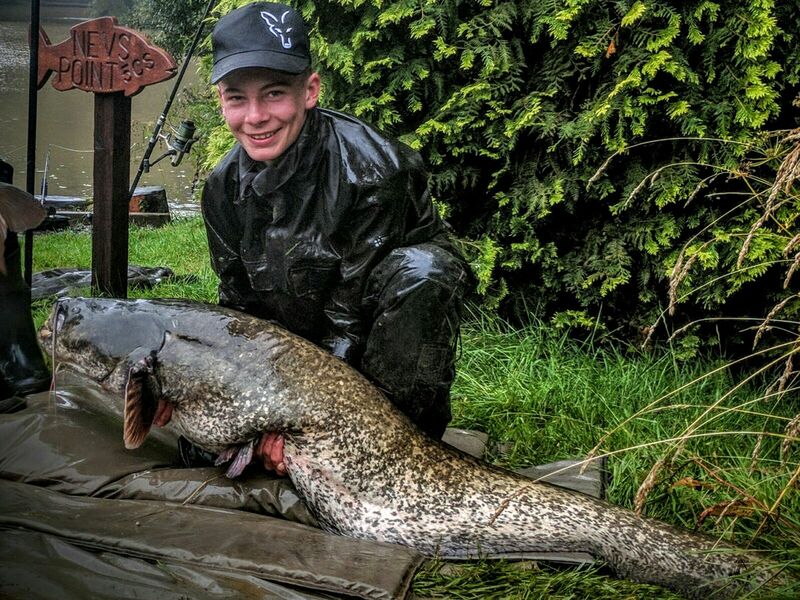 Louie Nightingill, aged 13 from Worthing, West Sussex caught an Amazing Personal Best 67lb 10oz Catfish from the Main Carp Lake at Anglers Paradise on Halibut Pellets. 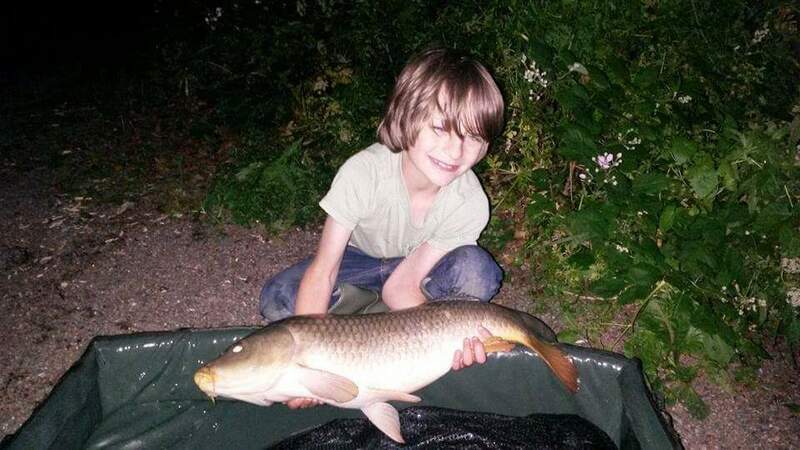 The fact that Louie is only 13 and managed to land this beast all by himself and not be pulled in is such an achievement, he even beat his Dad who caught a 52lb Cat during the same session, Louie NEVER expected to catch one bigger, but he did!! Not many 13 Year Olds have a PB Like this beside their name! !